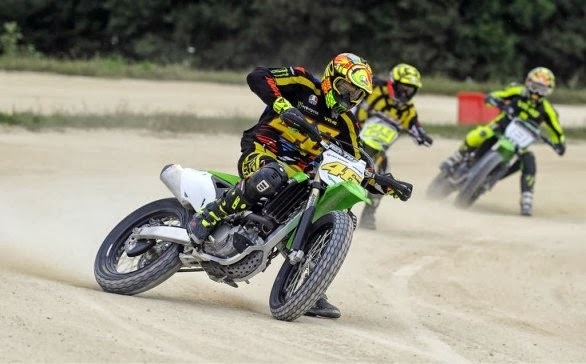 Valentino Rossi has released another video taken from his own personal ranch. The video shows a collection of fellow motorcycle riders going around his specially made ‘dirt’ track. The surface is custom made from concrete and gravel, a special mixture and is completely unique. Watch as some of the best riders in the world mess around on two wheels. Another tough day in the office had by all.